Today another polish I recently got because of reading someone elses blog. This time is was Kristy from The Polish Haven's fault for making me get the most magnificent China Glaze Atlantis, with this post back in October! 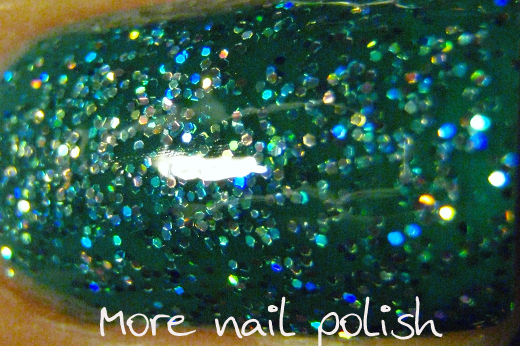 China Glaze Atlantis is a teal green jelly packed full with holographic glitter. These pictures are two coats of Atlantis, two coats of gelous and one coat Seche Vite. 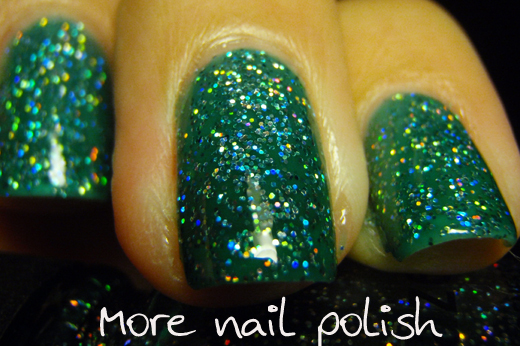 This is a thirsty glitter that will stay gritty if you don't layer on the top coat on. Of course you don't have to have lots of top coat if your ok with the whole sandpaper feel, but for me it's not just about the smoothness. 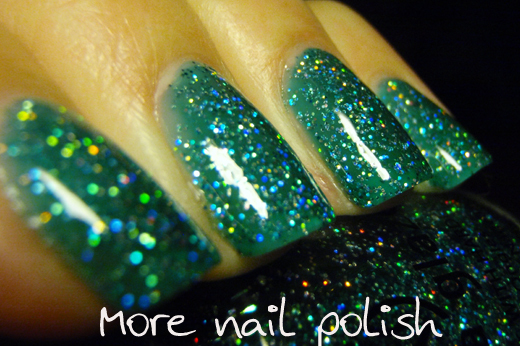 Having a glossy top also makes the holo glitter shine much more. I have to apologise for these photos of Atlantis. I usually take my photos in full sun, but all my sun shots of this were crappy. So these photos are taken under incandescent light indoors at night. My camera has a white balance setting, but even with it set to max for incandescent lighting my fingers look a strange yellow colour like I'm suffering jaundice. And to make things worse, my best photos were ones that showed my fingers in a totally weird and cacky manner. What's going on here with my middle finger, it's poking forward and looks ginormous - please don't focus on my ginormous nail (it's really not sticking up at you), just focus on the pretties. You ladies with your pretty photos on your fancy blogs are killing my wallet. My head says no more, by my heart smiles at the pretties! *Glances at stash* Why haven't I get this yet? I love this one, it's been on my wish list for a while! I love it!! It's so beautiful!!!! I love the density and depth to this polish. Very pretty. Ice Queen - Evil enablers - love it! 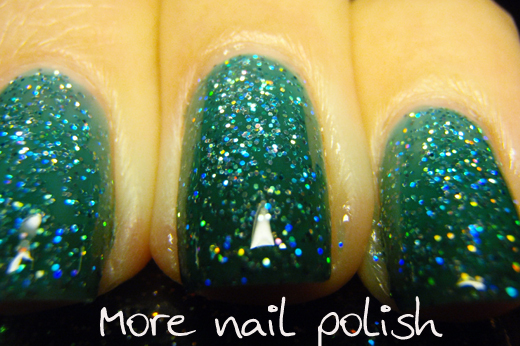 Aly - yes Holiday Splendour looks amazing too, which is why I ordered it too!! Drooling! I always thought this colour was too sheer to wear on its own, so I passed on it. I regret that decision now. Very pretty. I didn't even know this polish existed. I too purchased a polish today that I saw on a blog. So you are in good company! I get a lot of compliments when I wear this colour. Looks great! 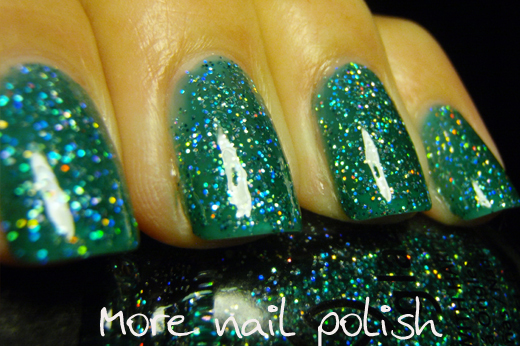 When I first got Atlantis I would wear 3 coats plus lots of top coat. Today I tried something different and I am wearing just one coat of this over Picture Polish Marine, and it is gorgeous!